Old Montreal is arguably the most popular tourist attraction in Montreal. The pedestrian friendly blocks that make up the area are filled with restaurants, cafés and souvenir shops. The cobblestone streets and the architecture remind me very much of France. If you like to pick up small souvenirs when you travel, this area is your best bet. I am not big on collecting souvenirs as I have enough stuff sitting at my house already, so I was lured to the side streets that housed many, many art galleries. Paintings and sculptures by local Canadian artists (many are Aboriginal) light up the galleries with life. If you’re into purchasing artworks, make sure you check them out. 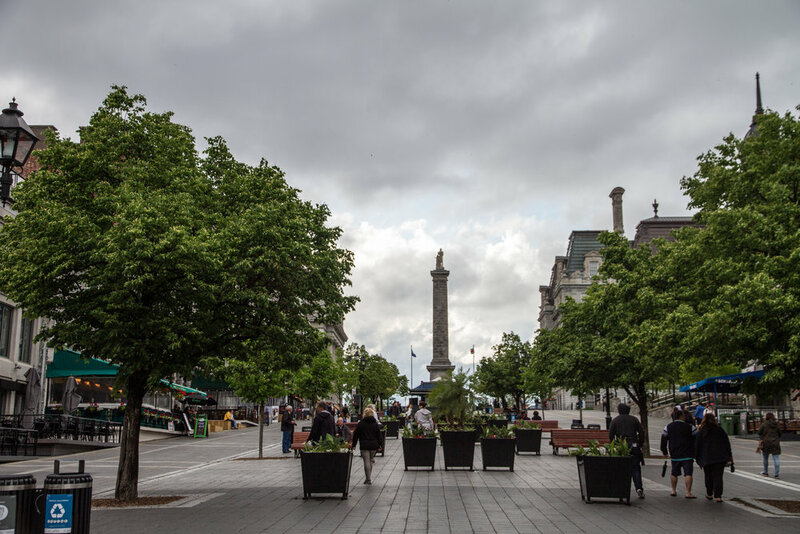 Just a few minutes away by foot from Old Montreal, you can find the Old Port of Montreal. Unfortunately, we ran into a thunderstorm the day we went. Uh huh, yep. So I didn’t see a whole lot of people out. However, I’ve heard that when the weather is nice and warm, people go there for zip-lining, street artists, and shops. You can find the tent for Cirque du Soleil there as well. 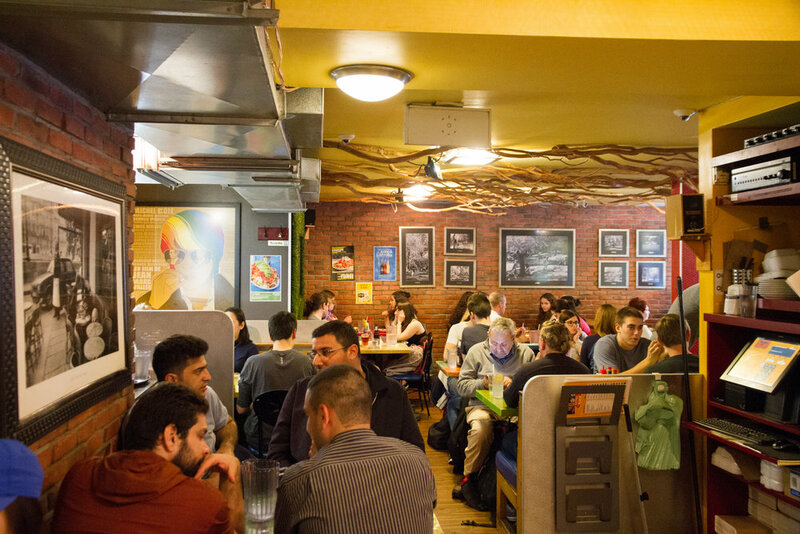 La Banquise is a restaurant that serves a variety of poutine, 24/7. If you’ve never had poutine, first of all, shame on you. It’s only the best iteration of how fries should be served. The classic is fresh fries with gravy and cheese chunks, but La Banquise does poutine in hundreds of ways. You can even make your own. The fries are fresh and fat, and the gravy is flavorful but not too strong. Yummmmm. Expect a lineup during peak hours. You also have the option of take-out. Since the weather was so brutal the first day I was in Montreal, I was forced to retreat indoors. According to my research, Montreal has many great museums, and the Museum of Fine Arts was one of them. And I was not disappointed. The museum itself is very clean and modern. And very popular judging from the fact that I had to line up for 30 minutes to get an entrance ticket on a Tuesday afternoon! I was able to make it to two exhibitions when I was there. The first was the Jean Paul Gaultier “Love is Love” exhibition, showcasing haute couture and prêt-à-porter wedding gowns, with most mannequins stationed on a giant wedding cake. The designs were exquisite – the details of the embroidery, the soft drapes of the fabrics, the whimsical messages hidden in the layers of chiffons……I was blown away. Also, you see mannequins of homosexual and interracial couples, reflecting the designer’s commitment for an inclusive society. This is exactly why I love fashion. It’s truly wearable art that allows you to express yourself. To top it all off, Gaultier even brought some of the mannequins to life. The designer cleverly used the projection of lights to display lifelike facial expressions, movements, and emotions on the mannequins’ faces. The mannequins also made sounds, mimicking coughs, laughter, and comments directed at the audience. If you have time, I would recommend taking a look at the permanent exhibitions. 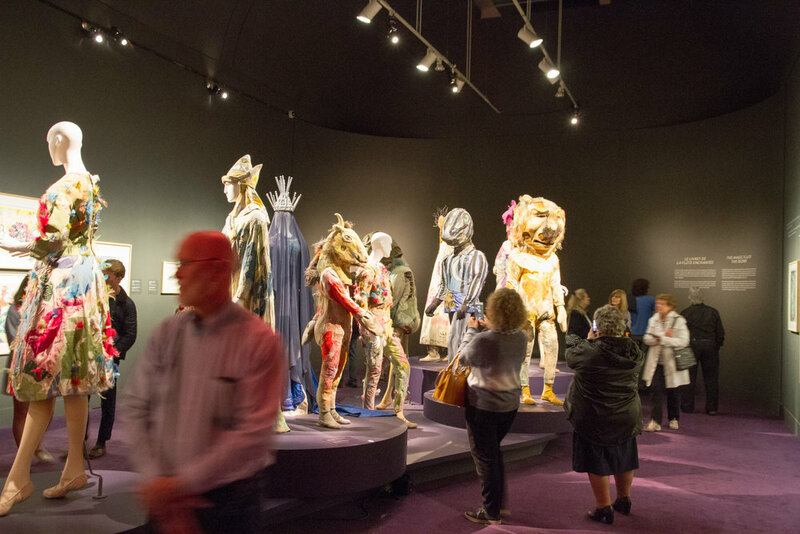 The museum used creativity in incorporating lighting and music in many of the exhibition halls to make the art come alive. 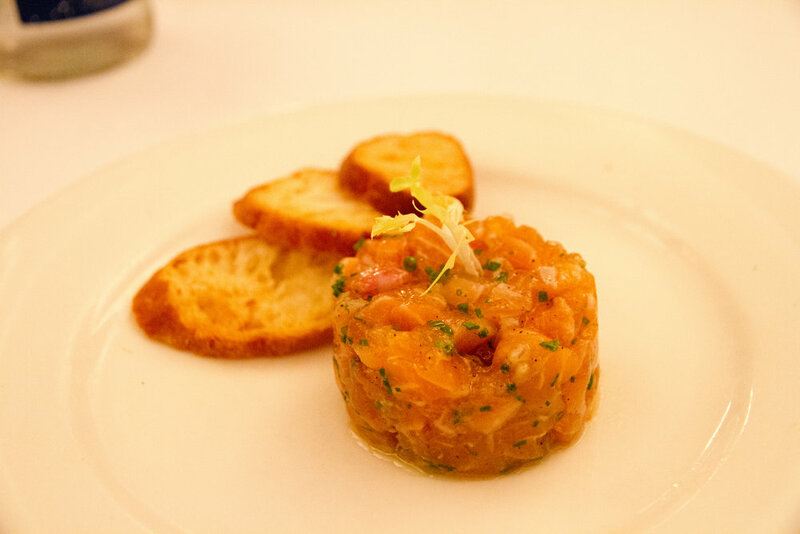 Classic French food done right. Exactly what I would expect in Montreal! Perfect for a group of friends or a romantic date of two. Make a reservation early! Also, you can take advantage of the “Fin de Soirée Menu” where you get a vast choice of appetizers and mains with a fraction of the price. Only after 10 pm. If you’re into fresh fruits and produce, this is the place for you. You can find everything from oysters to cheese at this open-air market. Make sure to go early in the day! 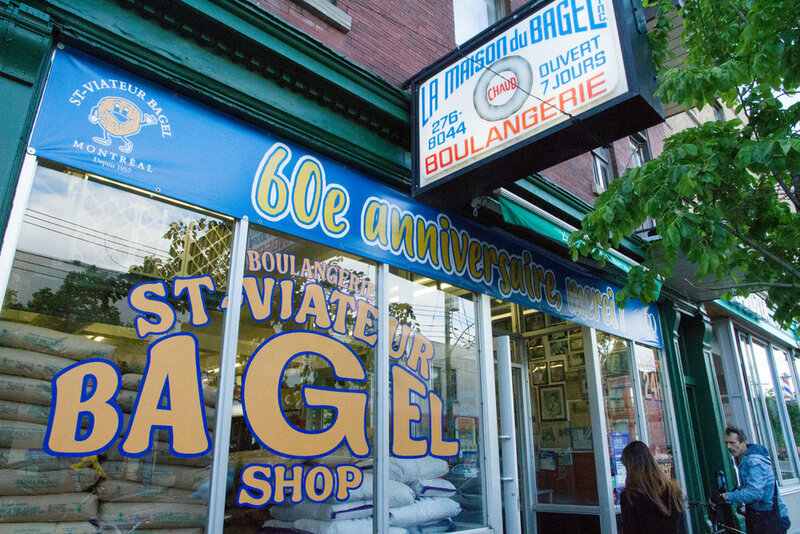 The bagel hype is real in Montreal. Fairmount and St. Viateur are both very famous, so when it came time for me to choose one, I decided to go for both. They’re just a 5 minute drive away! And I’m a pig. I actually filmed a detailed review of how the bagels are different from both places, and I’ll include that in my upcoming Montreal vlog. Until then, just know that the textures are quite different. St. Viateur is sturdier overall, so the crust and the substance are very much blended together when you take a bite. On the other hand, Fairmount has a crunchier crust and is chewier overall. Take your pick! Or just have both! And don’t forget to grab a cream cheese from the fridge before you pay for the bagels. Mont Royal reminds me of Central Park (and rightfully so, as part of Mont Royal was designed by the same designer as Central Park.) It is smack in the middle of the city, and many people come here to walk, jog and chill when the weather is nice. You can take a stroll up the mountain or drive up. You can drive up to near the top for a view of the city. The Chateau is also a nice lookout point with a big open area. Since Montreal is cold for the majority of the year, there is an underground tunnel that connects many metro stops along with malls, office buildings, shops, restaurants, and cafes. And an ice rink! It’s actually a very smart way for people to be out in the cold for as little time as possible. If you’re visiting Montreal in the colder months, you may find this place a heaven. Since I visited in the spring, I didn’t spend much time there since I would rather be outside! St. Catherine Street (the section close to the Eaton Center) is the main shopping street in Montreal. I find that rather nostalgic since the main shopping street in Bordeaux, France is also called St. Catherine, and I lived there for months during my exchange semester! Anyway, you can find your typical stores (Zara, H&M, Forever 21….) here. The one I do recommend is Frank + Oak. They’re a Montreal-based e-commerce brand with brick-and-mortar stores. The designs are simple with attention to detail. It’s around the same price point as Zara, but I find their men’s clothing nicely designed. My boyfriend practically bought the entire store and hogged my shopping hours. Schwartz’s is a historical deli that serves smoked meat sandwich. It’s one of the most raved about “attraction” of Montreal. Expect a lineup (even for takeout) and ask for extra fat cut! It was so delicious! Avoid heels when visiting Old Montreal. Heels and cobblestone roads don’t mesh well together. Let that artsy side of you shine. Montreal is a city with such creative energy, I feel like I could get away with whatever I decide to wear here. Unfortunately, the weather was unexpectedly cold and rainy when I was there, so I had to wrap myself in my leather jacket most of the time……. Murals: One of the first things that strike me about the city was the amount of murals around, especially on Saint-Laurent Street, which happens to be the street the Airbnb I stayed in is located. The murals are vivid, colorful, and full of creativity and energy. Bikes: If you know you’re not going far, rent one of the public bikes (called BIXI) and see the city that way. 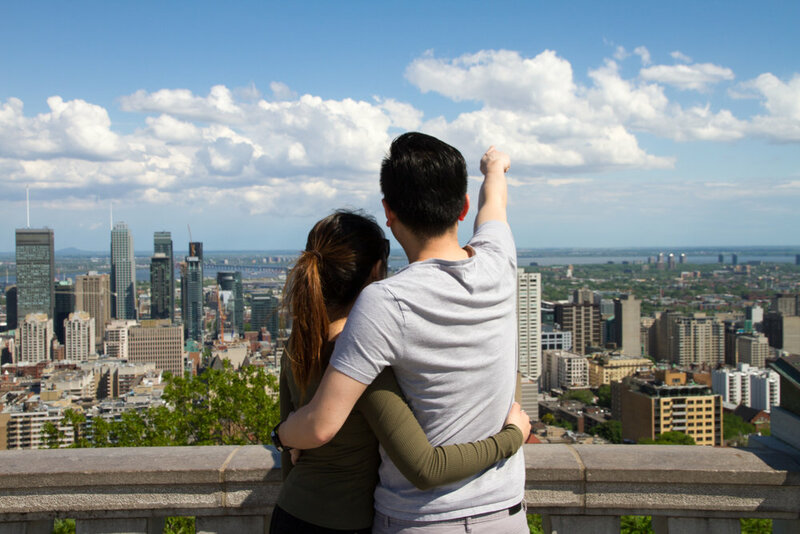 Airbnb: I’m more of a hotel kind of girl, and it’s been a while since I’ve stayed in an Airbnb, but I decided to give it a try in Montreal. The apartment we got was a big loft with lots of open space in an industrial building. The location was central and the Plateau area was very hip. Take a look here. Language: French is the most commonly spoken language in Montreal. Or in the province of Quebec I should say. I tried to communicate with my broken French as much as I can, but people are very polite when you indicate that you would prefer to speak English. In fact, they apologize to you for their “bad English,” which is often not bad at all. Typical Canadian behavior! Always so nice and polite. Thank you! Exclusive contents coming your way soon.